Being a university student in London myself, I know my city very well (especially central and North London). However I’m also aware of the great influx of international students who come to study in London…and at times may feel a little arghh. It is quite a crazy but great place to be. I write freelance for the website Student World Online – a great site for all students, and here’a an article I wrote recently which may be of help to some. LONDON is one of the world’s most exciting and dynamic cities. From the bustling streets of central London to the trendy nightclubs in East London or the quieter suburbs in north London, there is much to be explored and many different ways of getting around. The idea of travel in London may seem daunting to some newcomers at first. But with so many alternative ways of traveling – the renowned London underground, the big red buses, Boris bikes, overground trains, slightly pricey black cabs and even the Emirates cable air line – you’re bound to find a favourite which will help to serve your traveling needs. Read our handy guide to avoid the traffic gridlock without spending a fortune. This card is an absolute must for London students. It is one of the most important things you will carry at all times during your stay in the capital. The Oyster Card is a plastic card that you can use instead of cash or credit cards to pay for journeys by train, tube (underground train) and any bus run by Transport for London (TFL). Although you can still use cash and credit or debit cards to buy paper tickets in London, the Oyster Card is much cheaper – more than half the price per journey in some cases. And a Student Oyster Card will give you an even bigger discount. The 18+ Student Oyster Photocard will save you up to 30% against the price of adult rate Travelcards and bus and tram passes. 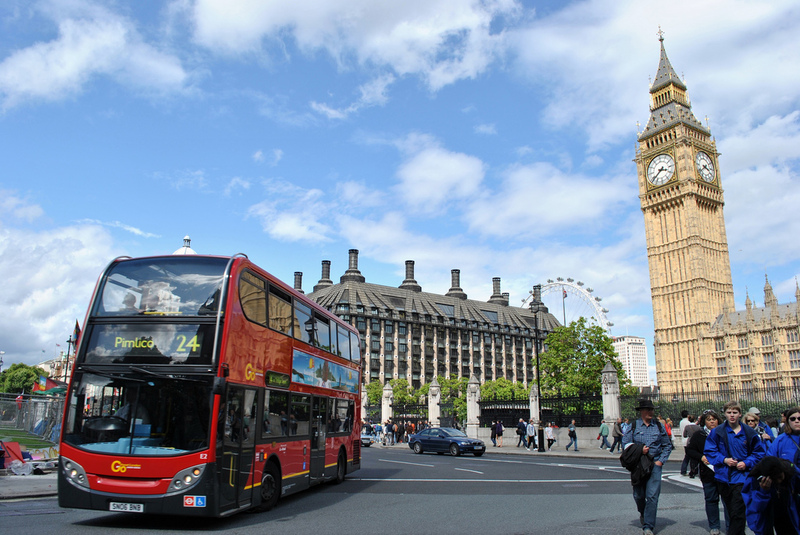 From summer 2014, cash will no longer be accepted on London buses. So it will be even more important to have an Oyster Card, unless you plan to buy a season or concessionary ticket in advance or use a contactless payment card. You can “top up” (add credit to) your 18+ Student Oyster card at all tube stations and National Rail stations in London by using the Oyster card machine. Most newsagents also top up Oyster Cards. You can add a 7 Day, monthly or annual season ticket to your card, or add money to pay as you go. However, the extra student discount does not apply to the pay-as-you-go method. As an example, if you want to travel between Zones 1 and 3, a daily top-up will cost you £10.60 during peak times or £7.70 during off-peak times. A 7-day top-up will cost you £25.70, a monthly top-up £98.70, and an annual top-up £1,028. You will be able to use your card on buses and trains as well as the London underground. To apply you will need to visit www.tfl.gov.uk and pay a £10 fee. You must be a registered, full time student for at least 14 weeks in order to apply for a Transport for London 18+ Student Oyster Photocard. The tube is often the quickest route from one part of London to another. It can be confusing at first; however you will quickly find it is very simple, fast and usually reliable apart from occasional delays. The London Underground has 13 different ‘lines’ represented by different colours. All lines run from one part of the city to another and stop at different stations. At many stations you can switch from one line to another. Kings Cross St Pancras is the city’s biggest interchange station, serving six underground lines as well as two above-ground train stations. If you get yourself a copy of the tube map you will find that the city is split up into nine different zones labelled 1-9. Ticket prices vary according to which zones you travel to and from and at what time of day. For example, a single journey in Zone 1 at peak times will cost £2.20 with an Oyster Card or £4.70 with cash. Traveling by bus is quite simple and great for short-medium distance travel. It would be advised that if you are getting from one end of London to another, the bus may not be the best route, as although it may be cheeper in some cases, long bus journey’s can be frustrating and some buses can get very busy. As well as that the traffic in London can sometimes be quite bad. There are many different bus routes in London and each bus is represented by a number such as the ‘41’. Sometimes buses consist of letters too such as the ‘C11’. The most popular form of pay again is the Oyster card. Every bus has an Oyster card scanner which you scan your card against when boarding the bus. Some buses allow you the option of paying with cash and the single fare bus ride is £2.40 for everyone without an Oyster Card. You can find details of which buses stop at which bus stops if you visit the Transport for London web page. Bus drivers will no longer accept cash on London buses from summer 2014. Passengers will have to pay by Oyster Card,contactless payment card, pre-paid or concessionary ticket. You may find that if you’ve spent the night in town and it’s pretty late, not all buses and trains will be running. In this case some people may choose to take a cab or taxi. It will probably cost you a bit more then using public transport however in some cases it is a lot more convenient. Before getting into a taxi, make sure you are certain that it is a genuine certified and registered vehicle you are getting into. Only licensed taxis (black cabs with an orange light displaying the word ‘TAXI’), can pick up passengers on the street. You can also find taxis at designated taxi ranks. If you’re using a minicab, make sure it has been booked through a licensed minicab firm. Minicab drivers who pick up customers without a booking (ie on the street or outside pubs and clubs), are acting illegally and dangerously, even if they have a licence disc displayed in their vehicle or have a private hire driver badge. You can also phone different minicab offices to get quotes on journeys and compare the prices to ensure you are being asked for the correct amount of money for your journey. It is useful to download the free cab-booking mobile phone app ‘Cabwise’ by TFL. The app allows you to find a cab from a list of minicabs or black cabs suggested. Other useful phone apps include Dial-a-cab and Hailo. Getting around London by bike or on foot are both great ways of getting to see more of the city. There are some things which wouldn’t offer the same experience if you were to only ever use public transport. Most of London’s streets have designated areas for bicycles ensuring safety. One big phenomenon that arose after the election of London’s mayor Boris Johnson was the introduction of the ‘Boris’ bikes. They work as part of the Transport for London scheme and are available in central London and some boroughs. The bikes have proved very popular and many people use them to cycle to work and school, or even just to ride around London. Bike hire is just £2 for 24 hours and £10 for 7 days, which is great value for money. Few students in London have cars because of the high price of insurance, road tax, petrol and parking as well as the difficulty in finding a parking space in London. If you do intend to drive, be aware that there is a £10 daily charge for driving a vehicle within the Congestion Chargezone in the very centre of London between 7am and 6pm Monday to Friday. Remember to drive on the left-hand side of the road. Absolutely get yourself an 18+ Student Oyster Photocard! Get familiar with your surroundings. Free tube, train and bus maps are available at underground stations as well as on the TFL website. Always make sure you only use licensed minicabs or taxis (black cabs) for safety. If traveling alone at night and using a bus, it may be wise to sit close to the bus driver. Use the Journey Planner on the TFL website to plan your journeys the night before. It’s almost always very accurate and very useful. Remember to drive / cycle on the left hand side of the road.